A Lesson in Subtlety | Come Due Maiali / "Like Two Pigs"
“Amplitude” is the word sensory experts use to describe flavors that are well integrated and balanced in a given product. When a dish is said to be high in amplitude, it means that it gives one an overall impression of balance, unity, and harmony, with no one individual flavor note jumping out above the rest. What it really means is that the dish is designed to hit the primal points of the sweet, sour, salty, bitter, and umami, all at once. 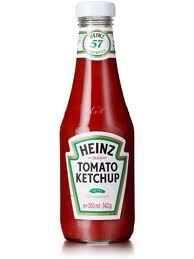 Amplitude is not necessarily indicative of high quality or hedonic characteristics (a good example is Coke, or Heinz ketchup, both of which are amazing, high amplitude products (see Malcolm Gladwell’s essay “The Ketchup Conundrum” http://www.gladwell.com/2004/2004_09_06_a_ketchup.html). This entry was posted in food & wine, NYC restaurants and tagged amplitude, food, Japanese, Malcolm Gladwell, Sakagura by Come Due Maiali. Bookmark the permalink.